Plastic in our bins, our homes and the environment, we all know it does harm but despite our best efforts it is everywhere. In Bristol on our allotment, plastic was worse than the weeds. Each week we arrived to find discarded bags, blown by the wind, causing a hazard to the wild life and a mess for us to clear. Here in Worcestershire plastic is less obvious but still there. We have more wildlife and therefore more vulnerable birds and animals. 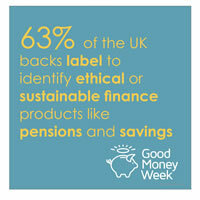 We can make a difference by encouraging the banks and institutions we invest with to use our money to support alternatives to plastic. Logically if you invest in good business ideas rather than those that do harm, it works, as long as the demand is there and profit achievable. In my experience legislation can only help but providing funds to support product development and science is powerful. 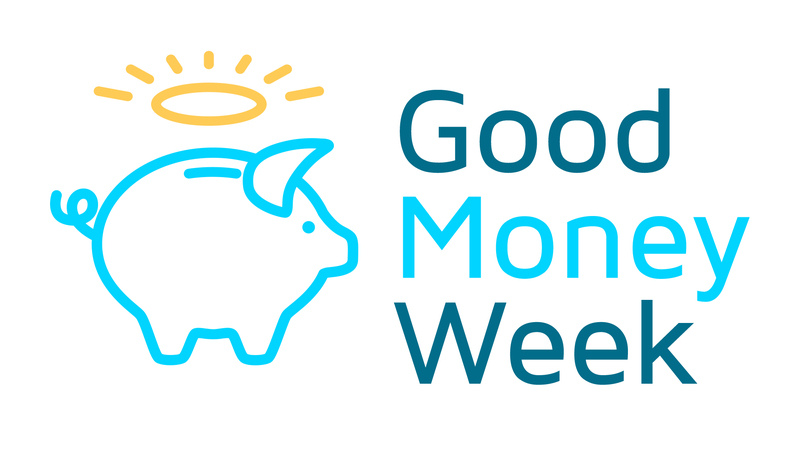 In October we celebrate the 10th Good Money Week organised by UKSIF, the Ethical Investment Association, an organisation I have subscribed to since its beginnings. 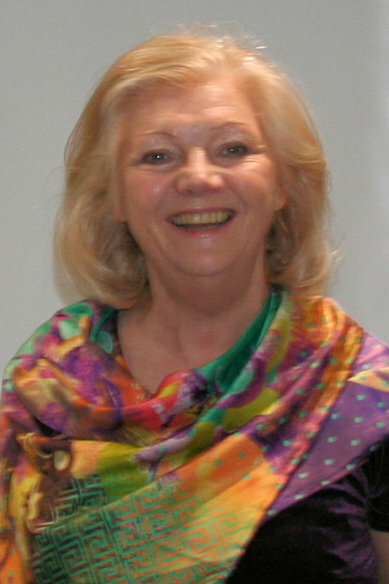 You are no doubt aware that Julia Dreblow, also a member, has been a good source of ethical investment research and someone I fully support and rely on. “What role can individual investors play in addressing the plastic problem? 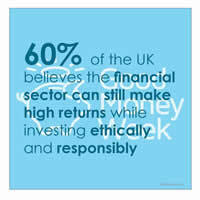 “Most retail investments (eg ISAs) invest in funds which ‘pool’ people’s money together. As a result, each individual (you or I) indirectly owns a small share of a large number of companies. This pooling of money into ‘collective’ funds is regarded as good practice as it helps to reduce risk and keep costs down. “From the many thousands of funds that are available, there is a vast array of approaches to environmental issues. These range from indifference to a devotion to helping to solve such issues. “The ‘good guys’ in this regard are those who have well thought through and clearly articulated environmental policies and strategies. “Strategies vary but these funds can often be identified by their use of the terms such as ‘environmental’, ‘ethical’ or ‘sustainable’ – although ‘responsible’, ‘stewardship’ and ‘ESG’ are increasingly common also. “Plastics present a growing and also rather complex range of challenges for these fund managers as benefits and challenges are often intertwined. “To explore ‘leading edge’ investment management practices, I asked some fund managers who excel in environmental issues to explain their current thinking. “The results were interesting in part because of their diversity but also because this area is still evolving. “In brief – everyone I spoke to confirmed that plastics were on their radar and ‘work in progress’. Most warned that plastics have brought many benefits (eg. reducing food waste) and that we need to be careful not throw the baby out with the bath water. “Many cited the benefits of engagement – where investment managers express their concerns to companies and request changes within the context of encouraging a financially sound ‘replace, reuse, refine’, circular economy type ethos. “LionTrust for example referred to plastics as a 2018 engagement priority – noting that this was now a common concern amongst their clients. “Sarasin & Partners commented that this fits within their across-the-board environmental research that is integral to all their investment analysis and Aviva Investors commented that this sits within their extensive Sustainable Fisheries programme. “He further explained that the search goes on – and that their focus remains “to find solutions companies” adding that they do not own drinks companies, oil companies or refiners – and that when they invest in packaging companies they aim to skew their investment towards companies with higher levels of recycled material. Supermarkets are also on their ‘plastics’ engagement radar. “These commentators were of course not chosen at random. All are relatively rare in the investment world as they have longstanding and profound commitments to offering investments that help solve environmental challenges. 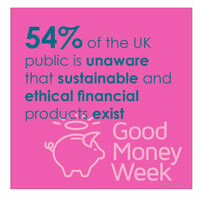 Other examples of funds that take environmental and social issues seriously can be found on my free the use web tool. “Needless to say, funds such as these exist to meet the needs of ‘good men’ (and women!) for whom doing nothing is not an option. “It may not be possible – or even desirable – to avoid all forms of plastic when investing, but as these examples illustrate – taking a more ‘plastics aware’ investment approach is entirely possible for those who wish to do so. According to the Times, A green paper is expected to limit how much people need to pay for social care. Pensioners will not be forced to sell their homes to pay for social care under plans being drawn up by the government. Jeremy Hunt, the health secretary, is understood to favour a ceiling as well as a floor on social care costs. This is expected to feature in a green paper on social care, to be published in the autumn at the time of the budget. This is the third green paper I am aware of, let’s hope it stands a chance of becoming an implemented policy. Cryptocurrency is digital money which uses encryption techniques to generate currency and verify the transfer of funds. It has been designed to be quicker, cheaper and more reliable than our regular government issued money, removing the middleman in all transactions. Through specialised exchange sites, like Coinbase, you can buy and sell cryptocurrency i.e. Bitcoin, using traditional currency (GBP). These exchanges have inbuilt virtual wallets to store your purchased cryptocurrency, acting in the same way a traditional ‘pocket’ wallet would. As an individual, one of the many advantages of cryptocurrency is that ownership can be pseudonymous, meaning it’s possible to send and receive cryptocurrency without giving any personal identifying information. As one of the UK’s leading estate administration providers, these ever-growing digital currencies have us wondering about the many ways cryptocurrencies could impact an estate. There is no way of knowing when someone owns cryptocurrency in the same way that there is no way of knowing someone has a bank account with Barclays; you won’t know unless they tell you. In order to gain access to someone’s wallet, you will need to know the public and private keys. These keys are essentially the code, or passwords, that log you into the virtual wallet to buy and sell the cryptocurrency from the exchange. Without this information, the cryptocurrency wealth is unreachable. It’s worth noting, there are some exchanges who have policies in place to transfer cryptocurrency to the next of kin. Even though cryptocurrency isn’t yet an official currency of any country, it is widely accepted as a money in various countries. In the UK, you can hire a private jet or buy a round of beer with your cryptocurrency. In the United States, you can even pay for a funeral using Bitcoin. It is theorised that cryptocurrencies will become the norm with the question being when, rather than if. As reported in January this year, HMRC treats cryptocurrencies as all other currencies stating that it is an intangible asset for capital gains tax purposes. Cryptocurrency needs to be seriously considered when writing Wills to avoid hefty Inheritance Tax bills. As we now know, cryptocurrencies are stored in a virtual wallet. Each wallet uses a string of random characters called a “public key,” visible to anyone, as an address for sending and receiving the cryptocurrency. A separate “private key” allows the owner access to the money in the wallet. If an owner dies without passing on the private key, the wallet may be discovered only to realise that they will never gain access to the wealth inside. To prevent this, the owner has to ensure that someone knows about the currency and gets a copy of the private key. The Member Care Line offers three very different services. Members can get free and confidential legal advice, ranging from how to challenge a parking ticket to advice on how to resolve a neighbourhood dispute. Thousands of members have found this facility extremely useful and reassuring. The Care Line also allows members to speak to medical staff if they are worried about a health condition and they can even talk to a counsellor if they are experiencing emotional distress and need a sympathetic ear. Completely free and open 24 hours a day. The Member Care Line offers three very different services. Members can get free and confidential legal advice, ranging from how to challenge a parking ticket to advice on how to resolve a neighbourhood dispute. Thousands of members have found this facility extremely useful and reassuring. The Care Line also allows members to speak to medical staff if they are worried about a health condition and they can even talk to a counsellor if they are experiencing emotional distress, and need a sympathetic ear. Equitable Life has made plans which we believe will not only secure the 35% capital distribution currently given when with-profits policy benefits are taken, but we also believe would enhance those benefits. This has been made possible by an agreement to transfer the Society and all its policies to Reliance Life. With-profits policyholders will be asked to vote on this proposal before it can go ahead. Our proposal will be reviewed by an Independent Expert, who will consider it through the eyes of policyholders. The Independent Expert’s report will be made available to policyholders before they vote. Reliance Life is part of Life Company Consolidation Group, a specialist European life assurance group. Its principal businesses are Reliance Life and Utmost Wealth Solutions, which are responsible for in aggregate £24bn of primarily unit-linked policyholder assets for more than 250,000 customers. Reliance Life’s stated strategy is to continue to grow through further acquisitions of life business in the UK thereby protecting policyholders from the diseconomies of reducing scale in a stand-alone run-off environment whilst securing the highest standards of service and broadest fund choice. There is no action for policyholders to take now. More information will be provided in October. I would like to share a philosophy with you, in the past the choices have been between state provision and charity, to fund for the less able and vulnerable. Today we have a third way. 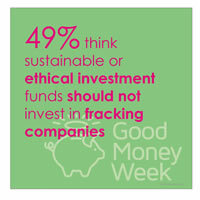 Social impact investing. If you want to find out more ask me.